Ahlen, July 2017. – Kaldewei is extending its range of shower solutions, adding new and improved assembly and sealing systems. A clear goal was defined in developing this product: make installation even simpler, faster and more secure for plumbers. To this end Kaldewei is now launching its new FR 5300 FLEX leg frame, and the sealing kits FLEX and floor-level. The new Kaldewei installation systems are coordinated with various shower models and types of installation. 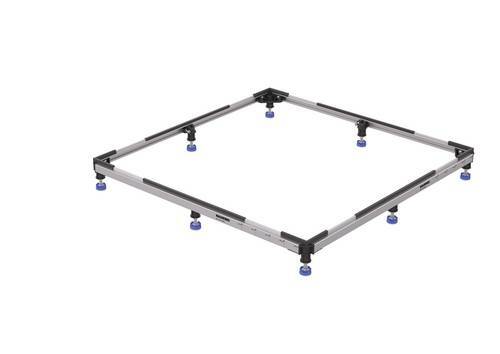 The FR 5300 FLEX foot frame is a development of the tried-and-trusted FR 5300 and can be used flexibly for virtually every type of installation for enamelled shower surfaces, regardless of whether floor-level, placed on a tiled floor, or as a raised solution. Thanks to an optional expansion system, the installation frame allows for additional built heights of up to 250 millimetres. All of the new systems are consistently geared to the plumber’s needs, ensuring exceptionally fast and easy installation. In addition, all components can be easily accessed throughout the entire installation process – for individual adjustment of the installation frame or fine-tuning, for instance. By means of a new 3D leg system and the FR 5300 FLEX’s additional guide markings for extension, plumbers can flexibly and easily adjust lengths and heights to suit any kind of installation. The easy-to-understand, non-verbal assembly instructions and QR codes with links to helpful assembly videos, are another key benefit Everything is therefore in place for fast, easy installation and bathroom professionals can retrieve further information directly on site if required. The new Kaldewei sealing kits enable exceptionally easy handling and fast installation on site thanks to their prefabricated elements. At the same time, they offer great flexibility since the plumber can use them for various models and installation situations. The FLEX sealing kit can be used for both bathtubs and shower trays installed at a greater height. The floor-level sealing kit was specially developed for sealing floor-level shower surfaces. Kaldewei develops new and practical solutions in consultation with plumbers and constantly reviews its proven assembly and installation systems with the aim of making installation even easier and more effective for bathroom professionals. 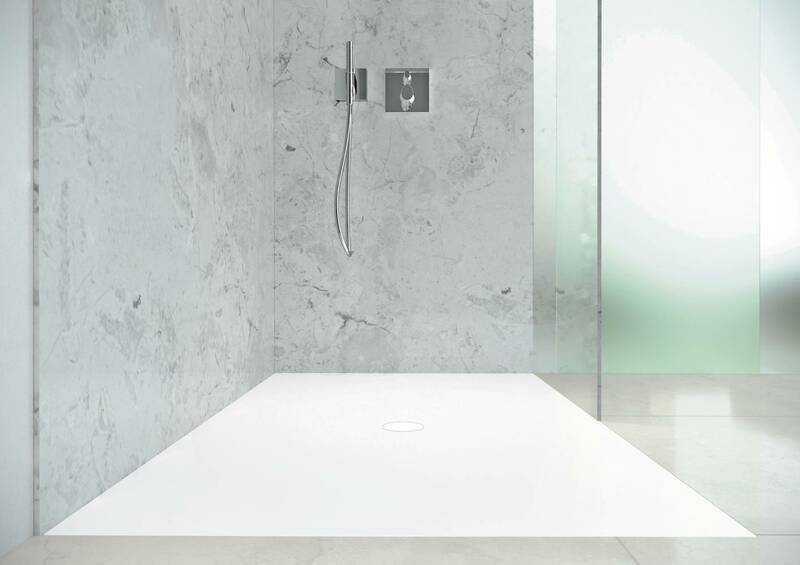 The new Kaldewei installation systems are coordinated with various shower models and types of installation. The FR 5300 FLEX foot frame can be used flexibly for virtually every type of installation for enamelled shower surfaces, regardless of whether floor-level, placed on a tiled floor, or as a raised solution. 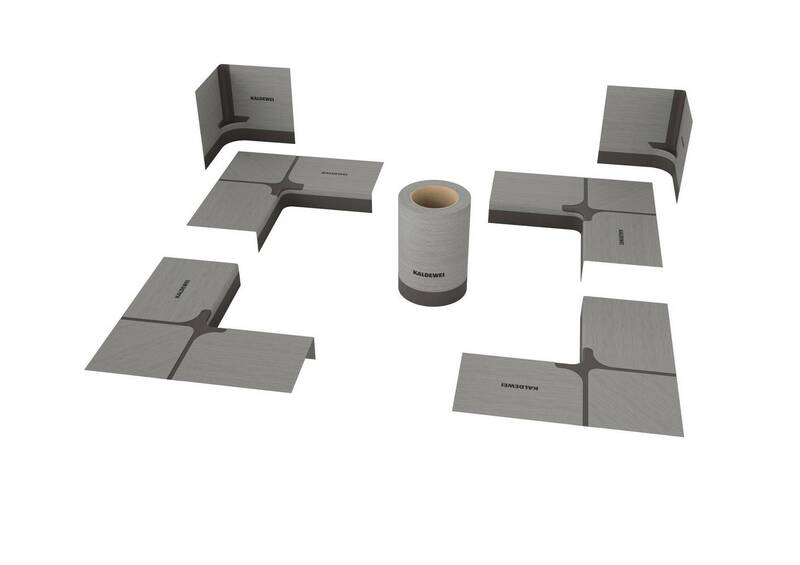 The new Kaldewei sealing kits enable exceptionally easy handling and fast installation on site thanks to their prefabricated elements.